After breakfast depart Bhubaneswar for Gopalpur on Sea arriving in Hotel by afternoon. 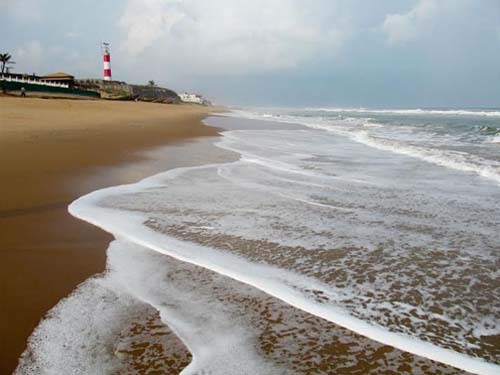 Gopalpur-on-Sea is a quiet and charming sea resort set along the Bay of Bengal ,in the district of Ganjam. Clusters of coconut and palm trees, white sand dunes overgrown with casuarinas plantation separate the beach from the blue waters of the sea. After breakfast depart Gopalpur-on-sea for Puri arriving in Hotel. 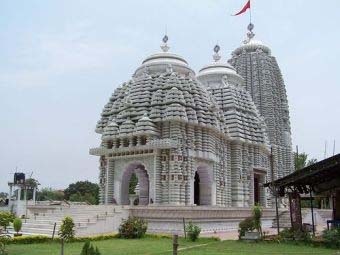 Lord Jagannath Temple:- Established in the 12th century, Jagannath Temple is one of the most renowned place of worship in Orissa. While it is visited daily by hundreds of people, it is specially revered by followers of the Vaishnava tradition. Chilika Lake:- is another great destination to visit. This lake is Asia's largest salt water lagoon. Situated near the Bay of Bengal, this lake is separated from the sea by only a small neck like piece of land. This is a favourite migratory spot for a numerous birds during winter. 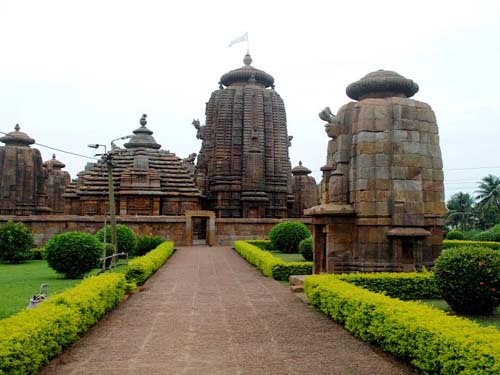 Gundicha Temple is situated towards the north east direction of the Jagannath temple and was constructed in the 16th century. Markandesvara temple Another famous Shiva temple of Puri is the Markandesvara temple. The Sudarshan Craft Museum situated in the Station road was started in the year 1977. As the museum was started by Shri Sudarhsan Sahoo, you will find a lot of his artistic works here along with other famous artistic works. After breakfast depart Puri for Bhubaneswar visiting en route to visit Konark ( Sun) Temple. 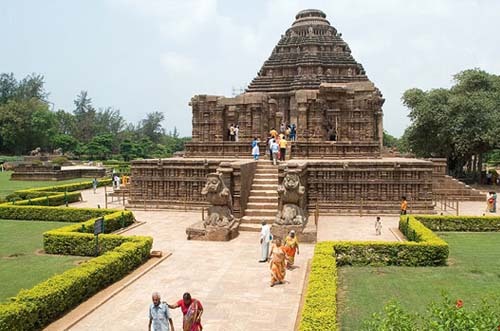 After visiting Konark Temple drive straight to Bhubaneswar airport in time to catch flight for Kolkata. 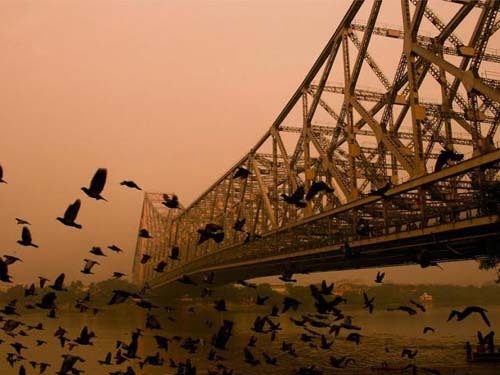 Kolkata: Long the capital of British India Calcutta, is still the commercial metropolis of modern India. It is a huge, sprawling, noisy city, teeming with life. The nerve centre is Dalhousie square; where tall imposing buildings, government offices and mercantile houses stand in a quadrangle around the placid waters of the reservoir. But the centre of attraction is the famous Chowringhee, the beautiful wide avenue flanked on one side by shops, cinemas and fashionable restaurants and on the other side by the Maidan which stretches as a wide expanse of green dotted with monuments and clusters of trees. After breakfast depart Kolkata for Digha arriving in the Hotel by afternoon. Digha- Digha is a seaside resort city in the state of West Bengal, India. 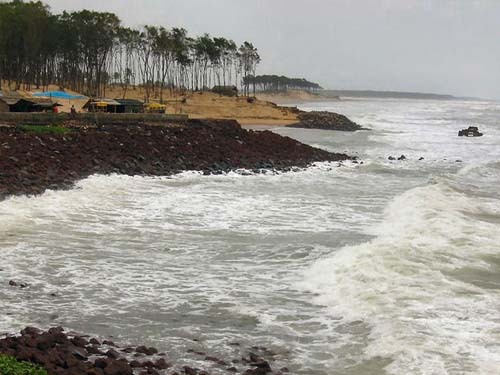 It lies in East Midnapore district and at the northern end of the Bay of Bengal. It has a low gradient with a shallow sand beach with gentle waves extending up to 7 km in length. Rest of the day at leisure to enjoy on the beach. Full day free for independent activities to enjoy on the beach. After breakfast depart Digha for Kolkata arriving in the hotel in the afternoon. After breakfast full day sightseeing of Calcutta City visiting. The Museum, Victoria Memorial, Belur Math, Dakshieshwar Temple, Howrah Bridge, Botanical Gardens, Jain Temple and Fort William. Transfer to Kolkata airport for flight back home.